The smartphone market has stagnated in recent years, and as top manufacturers roll out what could only be called absurdly expensive flagship devices, some consumers are simply asking, “why should we buy these?” This has led to the first recessed quarter the smartphone market has ever seen in 4Q of 2017. The same two manufacturers have led the smartphone market for almost a decade. Samsung and Apple continue to set the standard for smartphone technology. Just as they’ve been challenged (at different times) by Blackberry Limited (formerly Research in Motion), HTC, and LG, in today’s market they are being challenged by Chinese companies on the strength of growing Asian smartphone demand. Manufacturers like Huawei and Xiaomi have seen the largest market share growth as the Chinese and Indian smartphone markets have overtaken the U.S. in size. Despite the digital revolutions being made in populous places like southeast Asia and India, the smartphone market has typically depended on return consumers. Today’s smartphones are built with dynamic specifications with budget-level smartphones easily able to run today’s software. The less people upgrade their device, the more these organizations will have to pay for marketing, so the less their profit margins will be. While these manufacturers rely on their flagship (their highest-end model of phone) sales for their profitability, if they cannot convince someone to upgrade from last year’s model (because the specification and features difference isn’t dramatically improved), their business model is shaken to its foundations. So, while Samsung and Apple have enormous rates of recurring sales and make a lot of profit off of those devices, their competitors largely don’t, simply because the people who are buying new Huawei and Nokia devices aren’t buying their flagship offerings en masse. You’d think that technological stagnation would be a huge factor in the market’s stagnation, and it is, but overall it really is a matter of demand. Growing smartphone markets like the ones in India, Africa, and southeast Asia are still years away from getting the kind of Internet accessibility required to properly utilize a flagship-like device, making budget models much more popular. So, while major smartphone manufacturers are aided in industrialized countries by having a select few wireless carriers dominating over 85% of all smartphone sales, in developing markets, where telecom infrastructure spending is just in its infancy (or non-existent), they aren’t able to create the advantageous bottleneck in the market that they enjoy in the first world nations. Despite the down numbers, expect the smartphone market to continue to grow as innovations are made. Some technologies that are on the verge of breaking through include 5G wireless and augmented reality. With these major shifts on the horizon, it’s likely that the smartphone will continue to be an important part of the 21st century’s technology for some time to come. With so much of a smartphone company’s profitability tied to the success of their flagship devices, the market stagnation presents a stark question: What are smartphone manufacturers doing to enhance their flagship devices? The answer is simple: Seemingly everything. Lately, due to a lack of technological innovation, they have been focusing a lot of their efforts on improving the displays and the cameras on their devices. While better displays will catch the eye and better cameras are nice, they don’t really have a marked effect on the functionality of the device. In fact, one could say that despite subtle improvements to things like a camera’s image quality, and pixels per inch, smartphones haven’t really gotten pragmatically better for a few generations. Sure, this isn’t “technically” accurate, they are faster and offer many more software options today, but functionally, a brand-new flagship device isn’t going to be all that much better than the same device was a few versions ago. This is despite billions of dollars being spent on research and development of better components. With all of these features (and more) packed into one device, and the fact that this year’s device isn’t markedly better than last years, it’s not surprising that the price tag for these phones are going up. While this is a problem for these companies, it can be a benefit for the company looking to utilize smartphones from two or three years back as productivity devices since they are powerful and cost effective. Nowadays, to boost said productivity, many businesses are providing smartphones to their staff, or reimbursing employees for their smartphone usage. As this practice increases, it’s important that if you are going to pay for your staff’s smartphones, that you get phones that can handle the applications that your business requires. 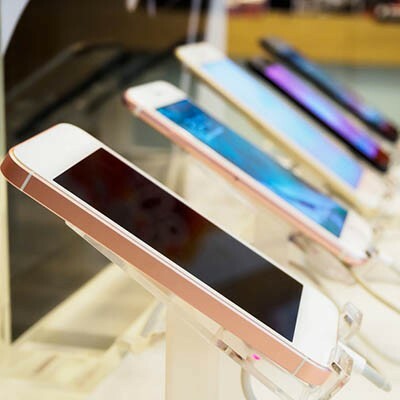 Before that fills you with fear, you’ll be pleased to learn that depending how many people you are outfitting with devices, there are places where you can purchase phones in bulk to make this process easier. There are vendors today that repurpose unsold or slightly-used smartphones at wholesale prices. 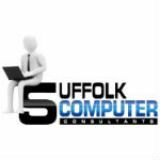 Call Suffolk Computer Consultants today if you are interested in learning more about that. For most companies, especially smaller businesses that can’t afford to outfit their staff with mobile devices, they need a solution so that their staff can use their own phones for work. This is known as a Bring Your Own Device (BYOD) policy. A strong BYOD policy will outline expectations placed on people who connect to your business’ network with outside devices. Most people today own, and heavily utilize, a smartphone. To keep these people from bringing unwanted, and potentially dangerous data onto your network, a BYOD policy will outline the ways that you will protect it. If they opt in, they will be be under “network rule”. This strategy may have its detriments for some employees, but overall, as long as its implemented and managed properly, it can be cost effective, and favorable for the small business looking to get the most out of its mobile workforce. Call Suffolk Computer Consultants at 631-905-9617 to have us help you develop a strategy to leverage a positive mobile culture and return to our blog for more great technology-based information.